Before you read a text on The British Royal Family, read the following comprehension questions. 1. How long has Queen Elizabeth ll been Queen of England? 2. Who is she married to? 3. Who is older, Prince William or Prince Harry? 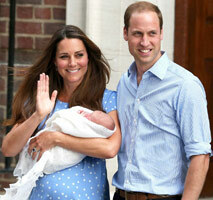 4. Who did Prince William marry in 2011? 5. How much money does the Royal Family get from the government each year? How much do you know about the British Monarchy? Queen Elizabeth ll celebrated her diamond Jubilee in 2012. She became Queen in 1952 and has been Queen of England for over 60 years. Her husband, Prince Philip, The Duke of Edinburgh, married the Queen in 1947. Prince Philip has received some bad press over the years for saying some very strange, and sometimes offensive, things in public. On seeing an exhibition of "primitive" Ethiopian art, he said, "It looks like the kind of thing my daughter would bring back from her school art lessons." On a tour of Canada in 1976 he said, "We don't come here for our health. We can think of other ways of enjoying ourselves." During the 1981 recession, he commented, “Everybody was saying we must have more leisure. Now they are complaining they are unemployed." "Can you tell the difference between them?" - The Duke's question after President Barack Obama said he met with the leaders of the UK, China and Russia. "The problem with London is the tourists. They cause the congestion. If we could just stop the tourism, we could stop the congestion." - commenting on London traffic. "Well, you'll never fly in it, you're too fat to be an astronaut." - to a 13-year-old whilst visiting a space shuttle. - To the President of Nigeria, dressed in his country’s traditional robes. Prince Charles, The Prince of Wales, is the eldest son of the Queen and the Heir Apparent to the throne. That means when the Queen dies, Charles becomes King. The British press say that he's been waiting to become King all his life. Will it happen? Your guess is as good as mine. Prince Charles married Lady Diana Spencer (Lady Di) in 1981, but she died in a car crash in Paris in 1997. Charles and Di had officially separated in 1992. They had two sons together, Prince William, born in 1982, and Prince Harry, born in 1984. Charles married Mrs Camilla Parker Bowles on 9 April 2005, the press claim that he had been in love with her for many years. William (Charles and Lady Di's first son) married Catherine Middleton in 2011. In the same year he was given the title The Duke of Cambridge by the Queen. The Duke and Duchess of Cambridge (William and Kate) have 2 children, George who was born in 2013, and daughter Charlotte who was born in 2015. Most male Royals do army training, and William is a qualified search and rescue pilot in the RAF (Royal Air Force). The Royals also do a lot of charity work and are patrons of various charitable organisations. Some people say that the Royal Family is a waste of tax-payers money. The Civil List is an annual grant which pays the expenses of the Royal Family and all the expenses of their houses and servants. This amount of money was frozen in the year 2000 and hasn't risen since. What do you think? 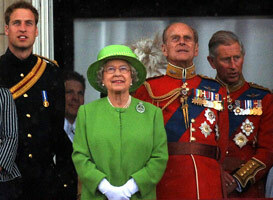 Is the Royal family worth around £8 million every year of tax-payer's money? Before you read a text about Cambridge English exams, read the following comprehension questions. What do the following numbers and letters refer to in the text? What do you know about the Cambridge English Exams? The University of Cambridge Local Examinations Syndicate (UCLES) offer a wide variety of exams for English students. The exams can be divided into exams for children (that Cambridge call ‘young learners’), academic and professional English, business English and general English which includes English for schools. The Cambridge exams are tied to the Common European Framework of Reference for Languages (CEFR) and you can see how each exam fits into the CEFR framework on the Cambridge exams website. The very first Cambridge exam took place in 1913. There were 3 candidates who took the 12-hour exam, and they all failed! However, a lot has happened since then. The qualifications offered by Cambridge are recognised by universities, employers and organizations all over the world and the Cambridge English Language Assessment board operates in 130 countries and has over 4 million exam candidates per year. Should you consider taking a Cambridge exam? Absolutely! Not only are Cambridge qualifications the most recognised English qualification in the world, but studying for an exam, at whatever level, gives you a goal and an objective for your studies. You have direction in your learning and, even if you don’t need an English qualification at the moment, who knows when it will be useful for you in the future? Obviously, this depends on your area of study, interest and work. If you are in business, it obviously makes sense to study for the Cambridge business exam, for example. As far as general English is concerned, employers often ask for a minimum level of B2 which is the Cambridge English First (FCE) exam. This qualification shows the employer that you have the minimum level necessary to work in English in a wide range of scenarios. If you have the level, we recommend our complete FCE course to prepare you for the exam. You can find details of this CD or digital download here. We also have free podcast and other free resources for FCE.